Weekend Recap: Date Night, Shopping, and Fun! Friday after work, I started with my usual routine of swimming, hot tub, sauna, and getting ready at the gym. 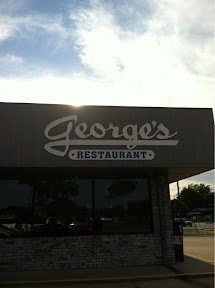 We tried a new (to me…Tyler has gone several times) place called George’s. Mark this one off the 30 Before 30 list! It was pretty good. 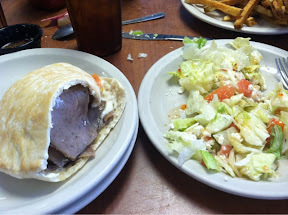 I was told to get the greek chicken, but I couldn’t pass up a gyro. I would have preferred the meat to have been grilled. If I go back, I will ask for it that way. I got a yummy greek salad to go with it. 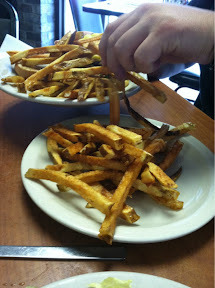 Tyler got a burger and a MOUND of yummy fries. 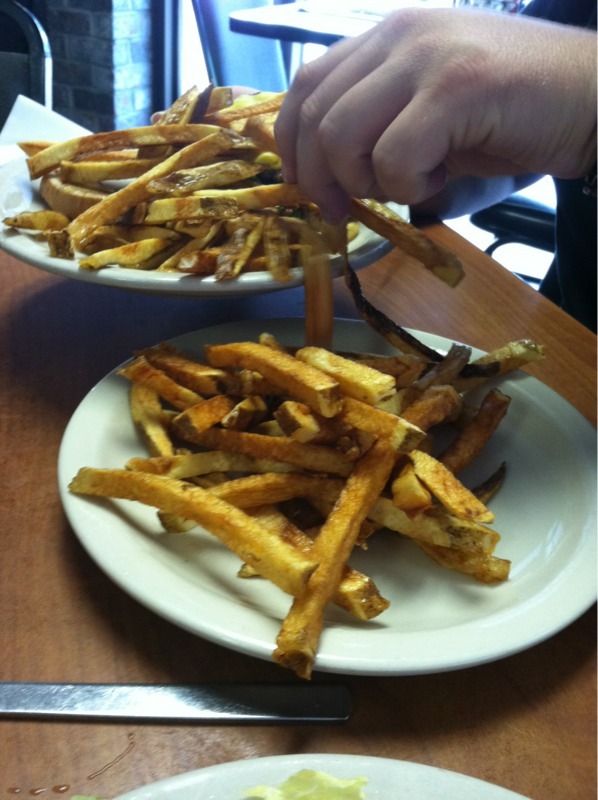 This is one order of fries. 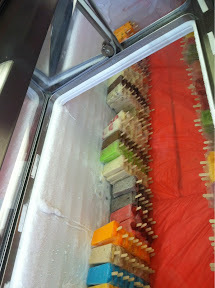 We had a little bit of extra time, so we stopped by Delicias Mochachinaos- a Mexican ice cream shop. REALLY good homemade ice cream bars! 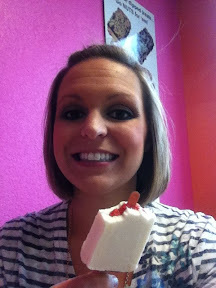 I got a strawberries and cream bar. Totally worth every calorie. 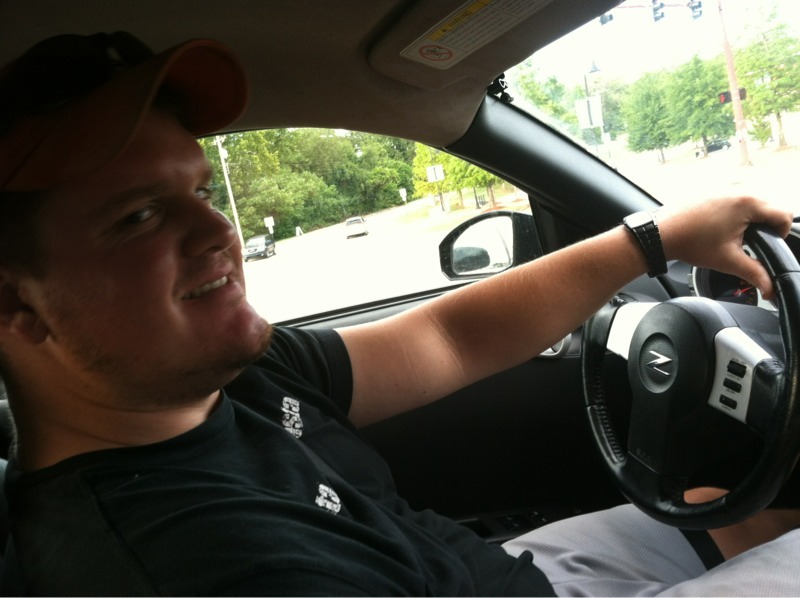 Tyler drove his Nissan 350Z. He traded it for a bike at his shop…it is a “dream car” he has always wanted. He was a happy camper zipping around town! After dinner, Tyler wanted to run into Hobby Lobby. What?!? He just needed to get a couple dowel rods, so it wasn’t a fun trip, just in and out. Then we saw The Bourne Legacy. It was SO GOOD. It was over before we knew it. I got ready and headed to NWA to meet some friends. We did some damage at the mall and then had lunch at Louie’s. 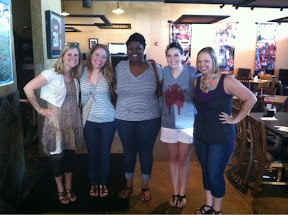 LOTS of fun catching up with these ladies. After coming back, I had all this pent up energy from somewhere. 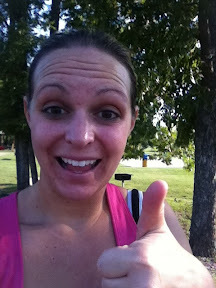 I went for another run/walk at the park. 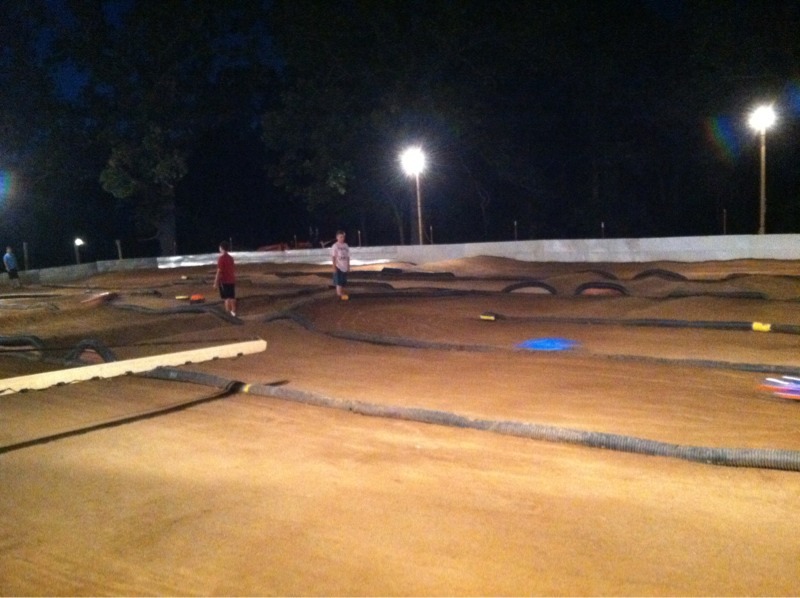 Then, I went to the track with Tyler. He got a new controller and thought he would drive better (he did) so he wanted me to come watch. It was such a nice night. I stayed for his first race..then came home and crashed. 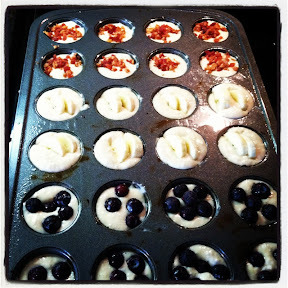 Sunday morning, I did laundry and made pancake muffins for breakfast. I thought they were yummy, but Tyler said he would have preferred pancakes. 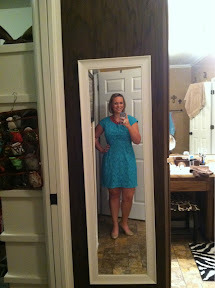 I wore my new dress from Francesca’s to church! We came home and had lunch at home. I had these Hawaiian sweet rolls to use up, so I created a new recipe (recipe coming this week!) 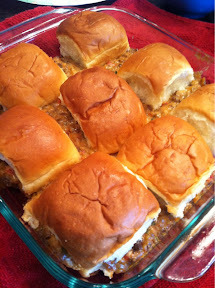 for cheeseburger sloppy joe sliders. TOTALLY yummy. We napped, I did some Zumba toning, and then ran over to Oklahoma to buy a 4 wheeler for Ty’s business last night. A GREAT weekend. Busy enough, but also some down time. LOVED it. Fun weekend! I love your dress! Francesca’s is one of my faves. 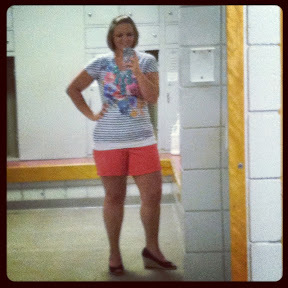 Super cute shorts and dress! I got my new Zumba shoes in the mail today!